If you want to post your requirement, please let us know, by sending an email to dkor [at] dkor.in . Thank you! DKOR, is a team of expert Interior designers for Home Interior Design, Modular Kitchen Design, Wardrobe Design and Office Design. 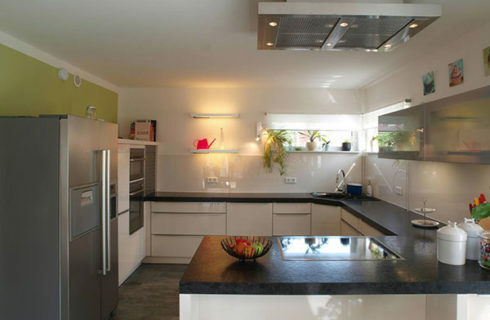 Are you planning to renovate your room and looking for some solution to ensure the privacy of that room. One of the smart, stylish and cost effective solution is to install window coverings. At DkOr, we offer complete range and different style of Window Blinds in Gurgaon. For Indian window design we have lot many blind curtain options available to select as per color and design. Also, with an in-house manufacturing unit of Window Blinds in Delhi, we provide lot of different type of sheer curtains. Furthermore, we can assure you best quality and contemporary design of window shades to meet your requirement within your budget. On the other hand, be it a bedroom blinds, kitchen window treatments or a large window treatments, we have complete range to blinds and shades. We supply chic window shades options that will boost the ambiance of the space in a pocket friendly way. Being a trusted and well-known name in window blinds in dwarka, we have a large base of Interior Designers prefer our services for window dressing. We have different type of window blinds to select as per your style of living. Some of them are Roller Blinds, Roman Blinds, Venetian Blinds, Vertical Blinds, Wooden Blinds, Zebra Blinds, Panel Track Blinds. All of our window shades comes with warranty and meet the international standard of quality and very much affordable prices. Generally, window treatments are used by interior designers to make up window valance as a part of room decor. Nowadays, blinds in india comes in a huge variety to select from, however, it depends on budget and style required. Other than aesthetics, these window coverings act as an insulator to keep cold and warm air in the room. We will discuss further the most popular options of window shades with details. Supplier of Window Blinds in Gurgaon; Varierty of Window Blinds available in Delhi to choose as per your requirement or style. Some of the options are Vertical Blinds, Venetian Blinds, Wooden Blinds, Roller Blinds, Zebra Blinds, Roman Blinds and Panel Track Blinds. Roller Blinds are the popular window blinds among other options for window coverings. This option which comes within your budget, cost effective solution, adds beauty to your home while keeping privacy as priority. Rollers Blinds are convenient to use and mostly customers prefer Roller Blinds instead of curtains or other window shades. 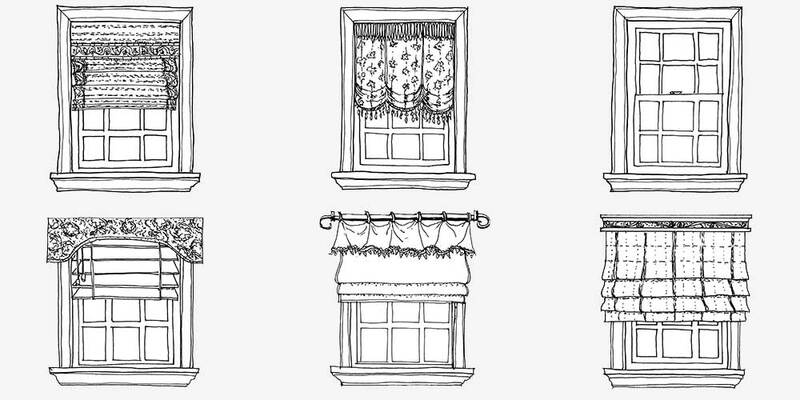 Nowadays people prefer window blinds instead of old time curtains. Roller Blinds gaining more and more popularity as most of the corporate offices are using them. Here are some of the important factor you should consider while picking up a window blinds in gurgaon. So, you have decided Roller Shades for window coverings. Now the next important thing is to choose the material type of fabric of roller shades. 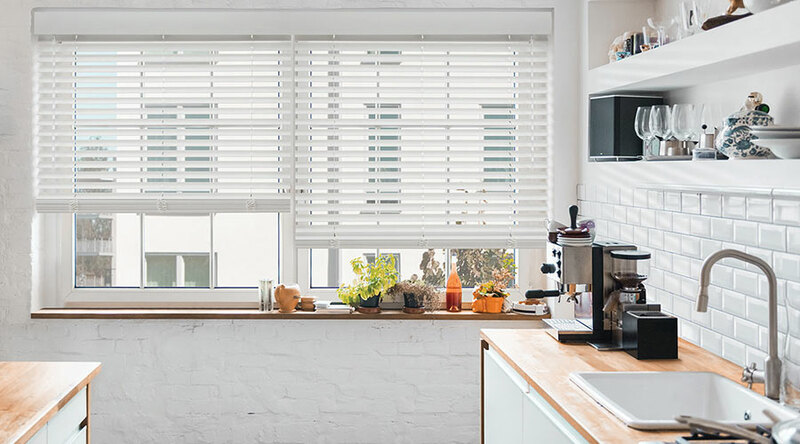 Before, you start investing time and energy to select the material, a good idea is to first select where the window roller blinds are going to be installed and in what conditions are you are going to use. This would help you to select right material and pattern you are required for a particular window covering. Generally, people use this type of window shades when required for bedroom blinds for night time privacy. It doesn't mean Roller Blinds can't be installed in other places. One of the good example window roller blinds is use to control glare from the sun in your office area. Well, such type of analysis and brainstorming will eventually help you to understand the type of fabric is required. To help you to pick a suitable option for roller blinds fabric, below are some of the most used window blinds material type. After considering each type of area in Home Interior Design and Office Interior Design for window blinds, we have listed some of the fabrics that normally window blinds manufacturer have in their product window blinds catalogue. This is not a long list, but some of the material explained here by which you can select suitable. Either sunlight reflects onto the window or falls directly from window or glare from the sunlight or by any way you are looking to figure out the direct or indirect sunlight to be out. Also, you can protect your content which is placed next to your window from sunlight effects. Even you can keep your room cool from the sunlight coming directly from window and making your room heat up. Some of the different type of fabrics can help you to achieve the results as per the requirement. The maximum protection from sunlight coming from window can be achieved by Blackout Roller Blinds. Generally, fabrics marked as "Solar Reflective" or 'Solar Protective" usually absorb or reflect most of solar radiation in comparison with other types of roller blinds fabric. On the other one can say that blackout roller blinds are the one which is considered to be best roller blinds. These can protect from 100% UV light and reduce the infrared radiations coming from sunlight directly into the room. However, the colour of fabric plays an important role, like light colour fabric reflect more radiation than the dark colour. You can contact DkOr for Roller Blinds in Gurgaon. On the other hand, some of the blackout roller blinds also comes with some protective and solar reflective fabric. These Roller Blinds in India, comes with treated or laminated with silver foil colored on the back side to enhance the radiation to be reflected instead of absorbing. Call us for Roller Blinds Online in India. Whatever type of fabric it is or any type of roller blind price is, all of them comes with a property to absorb certain amount of visible solar light. Therefore, any type of roller blind it is, that comes with a anti-glare property. But, the fabric that specifically termed and marked as anti-glare roller blind fabric that normally allows a very small percentage like 2% to 5% of solar radiation to pass through. Some fabric offers view through fabric and appear as solid shade from outside to maintain privacy in a room. Anti-Glare roller blinds with dark colour offers better outward visibility and reduce glare in a better way than light colours. Benefit of light colour anti-glare window roller blinds fabric is to reflect solar radiation. This helps in keeping the heat out of the room comparing dark colour window roller shades. The openness or the visibility through fabric won't block 100% UV radiations. 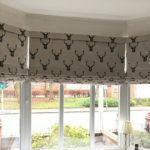 So make a note, if you buy roller blinds with this fabric, this will not offer 100% UV protection. Nowadays, when you buy window covering and opt for this solution, you can select anti-glare films as well. This anti-glare film work for roller curtains, like sunglasses to reflect direct sunlight and UV light by keeping visibility intact. Usually, any type of window roller blinds comes with certain percentage of property to block UV solar light. So, we can say any fabric for window treatments comes by default with UV Protect Fabric. Also, some of the specific fabrics which marked as 100% UV protected usually block complete UV Light. So, if you are concern about UV light blocking, then you should double check fabric which blocks 100% UV light. Think over how much light you want to allow & pass through the Window Roller Blinds in day and night. Figure out the view through your window and what you prefer to see in the day time from your windows. Not to forget about the privacy needs to be maintained in night time. Which room you want to allow to be seen from outside through window roller blinds at night time. This is the option in which you can easily keep privacy with solar protection. 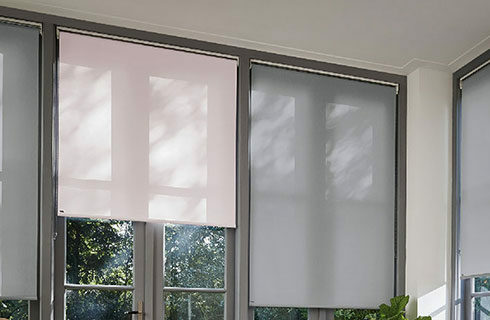 Blackout fabrics used to make Roller Blinds do not allow sunlight with the help of fabric itself. However, window roller blinds with a fabric for blackout still pass some light from the edges on top and bottom. This happens when the window roller shades are fully closed. Just in case if you want complete blackout then in that case mechanism and fabric should be install in a form of cassette with side channel system, which comes with seal and brushes to control light from edges. On the other hand some of the fabric itself unable to offer complete blackout like in some light color fabrics. 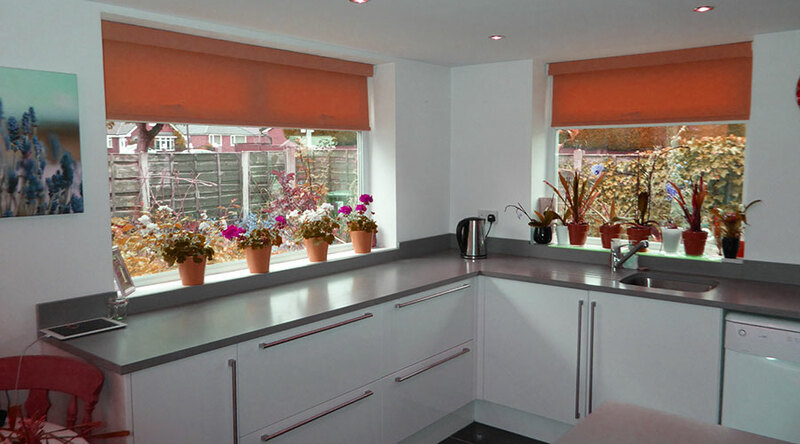 Therefore, the window roller blinds manufacturer must offer a backing on one side of fabric with the help of laminate. This is a common process to achieve better result for blackout. By default any type of fabric it is, they restrict solar penetration to some level. Therefore, we can say any type of roller blinds fabrics are called as dim out fabrics if not Blackout Fabric. Dim out fabrics allow dim light through window blinds, however, the visibility and view on the other side depends on the fabric. Either fabric offer complete transparency or some shadow or silhouette on the other side of the window. Window blinds made up of such type of material also known as Sunscreen Roller Blinds. Some manufacturers of roller blinds fabric started making the fabric as per grade of dim out of blackout. For example solar penetration rating of light is 5, this is for complete blackout fabric. On the other hand rating from 1 to 4 stands for level of dim out to transparency of fabric. Rating 1 dim out allows semi-transparency of the fabric where most of the light in the room. Fabrics like sheer or voile fabrics for window blinds considered to be level 1. For rating 2 of dim out, which is applicable on lightweight to mid fabric. Rating level of 3 stands for mid weight of fabric. And level 4 is the one which is for heavy weight fabric which allow bit of light to pass through. In case if your room heats up extremely due to sunlight or in winters if the heat is lost through the windows. Then this is the option to help you in this matter. 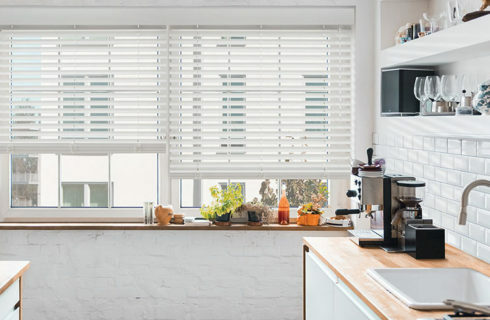 None of the window roller blinds is able to purge completely the build-up "solar gain" or heat which is caused by direct sunlight coming from the window. In actual the heat is coming because of the infrared radiation in sunlight which is being transmitted from the fabric. Either the heat is being absorbed by window blinds fabrics itself and radiating or if it's being reflected by the fabric and heating the gap between the glass and fabric causing the flow of air which is hot and coming into the room by convection. Be it any type of fabric except blackout fabric, these will absorb, reflect and allow some heat in the room. In summers these thermal roller blinds fabric help maintain the heat with help of protective & reflective coatings. Backside of the fabric with solar protection coating or solar reflective coating reflects most of the heat back through glass. Now most of the branded manufacturers started providing the information related to fabric able to reflect the sunlight. These fabrics mention properly the percentage of the sunlight being reflect, transmit and absorb, so one can select easily. For most of the home owners windows also act as a source of heat loss specially in winters. No roller blinds fabric material helps in eliminating the loss of heat completely from window. All absorb some of the heat or provide some amount of insulation by reflecting the heat back to the room. Some of the fabrics comes by default to reflect heat essentially. One the other hand in some of the fabrics some sort of coating is required to make them reflective to reflect the heat. So basically either it comes default to reflect the heat or to make them by applying insulation. Manufacturer's also provide information about the ability of the fabric to reflect heat by marking a rating for the same. Also, it's just not only the fabric which is used to control heat loss but the installation is also an important point. The fitting of the Roller Blinds should be tight enough so there would be no scope of air and drought loss. To enhance the efficiency of roller blind to minimize the loss of room heat, blind should be integrated with a head cassette, brushes on side channels and proper sealing on the bottom side of the roller blind by sealing strip to prevent the air around the window blind. One of the most important point to consider for areas like bathroom or kitchen where the moisture is too high. For such places the common issues are like they get dirty frequently, bacteria control is important because of spill and splashes. One should consider buying treated roller blinds for such area. Some of the common issues which can be sorted by selecting the right option for such areas. Some of the Roller Blinds Fabric comes with a coating which is to treat them against the bacterial growth, mildew, fungi and mould. Such type of window shades are commonly be installed by hospitals, nurseries and for home care. Waterproof or Moisture Resistant Roller Blind Fabrics resist better moisture than the regular fabric for roller blinds. 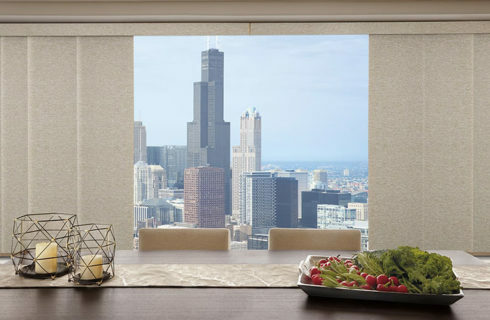 These window coverings are actually required in areas where the blind might get affected with splashes and spills such as Kitchens and Bathrooms. As the property of such window shades fabric is water resistant so they can be clean easily with a damp cloth. There are some fabric options that is good enough where one can easily clean with damp cloth. 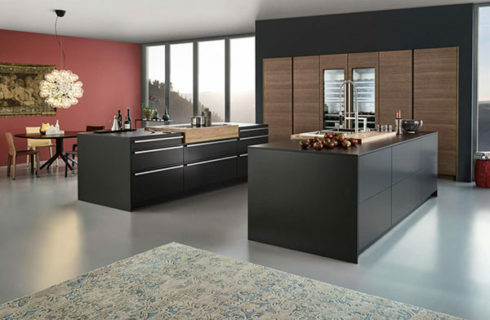 This type of material can be installed in kitchen, where there is a regular possibility of spill and stains while cooking. Roman Blinds Manufacturer also mark the fabric as washable and suitable to clean them in washing machine. However, it's not an easy task for a user to wash the Roller Blinds in washing machine like the vertical blinds. Call us at 9643-272829 for more information and to select Shade's. Vertical Blinds are perfect and best option for covering the windows in all type of spaces. Be it a part of home interior, office interior or commercial environment. Vertical Blinds are good to select if there is a slider window, these blinds are multifunctional, aesthetically good solution and enormously useful at point of time. Undoubtedly, this is the cost-effective option for covering large windows or for any type of size and shape. Very much easy to use, one should install them in all rooms for blocking the sunlight with an option to adjust the view and amount of natural light. Vertical Blinds doesn't collect the dust like some horizontal window blind options because they stand vertically. Earlier there were limitations in vertical blinds material to select. Nowadays, there is a wide range of different type of material like wood, pvc, aluminium, fabric and s-curved slats available. Generally vertical blinds are made up of Fabric, however, other options like faux wood, aluminium, PVC are available. Also, as this is vertical blinds so the best practical material is still fabric, which is easy to use and install. Instead of moving up and down like horizontal or Venetian blinds they move back and forth like curtains. Window Vertical Blinds are mount on a track with a valance which covers the tracking mechanism. The movement of vertical blinds can be controlled by cords, remote or by wands. These blinds can be installed either inside or outside of the window frame. Vertical blinds comes with a wide range of material and finish. The vanes - long, narrow strips that hangs from a track, that can be fabric, wood or pvc, which offers option to meet up with any existing decor of the room. Fabric options are best suited for movement and most beautiful among other options & pvc vanes are easy to maintain and clean. There is no end when you are in search of getting blinds for windows. The wide variety of material type, design and options all have long list of advantages and in fact made to suit for different purposes. So, one should look the purpose, room decor and most important is budget to fit in your planning. Highly popular from many years and offer a unique and versatile design that fit in your existing room interior. Practical and Sophisticated option to elevate the overall look and feel of your home decor. One of the most important and biggest advantage of window vertical blinds is the pricing. If we compare the pricing of vertical blinds with options like roller blinds, roman blinds, venetian shades, zebra blinds, panel track or even curtain and drapes, they all are expensive options. Vertical Blinds are easy to afford for big windows and patio doors. Vertical Blinds are easier to operate as they move from left to right directions same as curtains. The movement is not like traditional windows blinds which goes from top to bottom with the help of tracking mechanism. These blinds move easily and smoothly on the fitted track mechanism on the top of the window. These can be controlled by thick cords, wands and remotely for quick movement. As of now these blinds also comes with an automated track system by which one can move these blinds remotely. These type of window vertical blinds are suggested for home owners with small children's, physically handicap and pets. Wide range of material options to select ranging materials, finishes, textures, styles and price for Vertical Blinds are available. 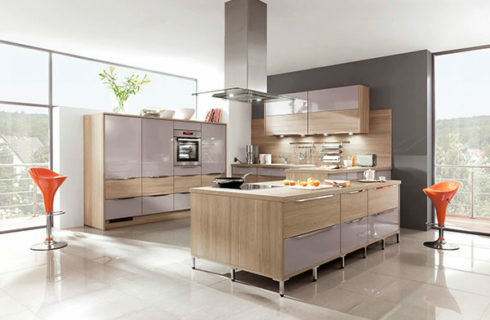 Certainly you will get one or another which suits your budget and gel with your existing interior. 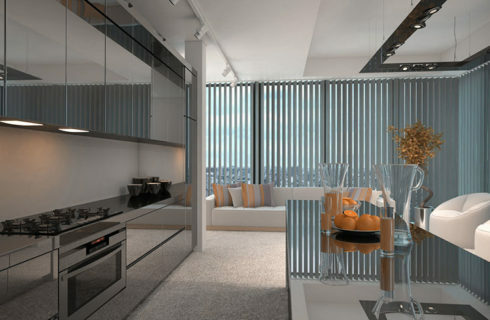 Other than this, because of the sleek lines and straight design offers very neat and clean look to any room. On the other hand you can also match or have in contrast these blinds with your other window treatments like drapes, curtains and valances. You can easily clean these blinds due to straight vertical vanes with the ease of movement in track mechanism. In case if the vertical blinds are made up of fabrics then they can be easily detachable from hinges to wash them. Other than fabric like aluminium or pvc these can be clean with a damp cloth or gently dusted. Be it installed inside the window frame or top of the window frame, these vertical blinds installation is easy and simple. These vertical blinds vanes or slats are mounted on track on top and strung together at bottom with a cord. User can easily change even one slat instead of changing the entire blinds. To change one single vanes, simply detach from top hinge and unstrung from the bottom. Also, just in case if you want to give completely a new look, you can easily change all the vanes with the new one without changing the main tracking mechanism. By this way you can easily save money and get a new look with new slats. Window Vertical Blinds are very much versatile in options to select. They can be selected in any size and shape according to the window size, even you can get for large window which comes from ceiling to floor or on bat windows as well. You can select slats material, color & mechanism which best suits fit your budget and interior. DkOr is a one stop solution for all type of Window Shades, Window Coverings and Window Blinds. So as per the details above and the wide variety of window blinds, we can say window blinds is most effective and easy to install to get a new look and feel in your room. But not to forget what are the advantages of window blinds over curtains. Whatever the reason, be it aesthetics or practicality of window blinds, here are some of the advantages of blinds. You get more control over the amount of light to be enter in the room with the help of window blinds. Because you can install some part of the window or full window or even get the tight fit installation. For example, on some of the window blinds slats are installed in such a way so you can get complete blackout. This type of blind is required where no natural light is required like an entertainment with home theatre. Also, you can even decide if you want to have some partial or dim light to enter in the room. There is no limit when it comes to select color or pattern or style for blinds. You can even choose according to the room like kids room, kitchen, bathroom or living room. Variety of options roman, roller, vertical, Venetian, zebra wooden blinds available to select. For a safer side for pets and kids, you can get cordless blinds as well. Blinds is the only option by which you can achieve the level of privacy your eyeing for your room. None of the other option like curtain can help you to achieve maximum level of privacy. For complete privacy you can consider getting top-down shades. By installing such type of option you can lower the shade from the top, so that sunlight can come in . Wide Variety of window blinds material available in market. Which allows a user to select according to their need, style or budget. Suppose, If you have furniture with natural wood grain in living room, then you can select Wooden Window Blinds. But, no doubt wooden blinds are expensive, so in that case select faux wood to cut down the cost. 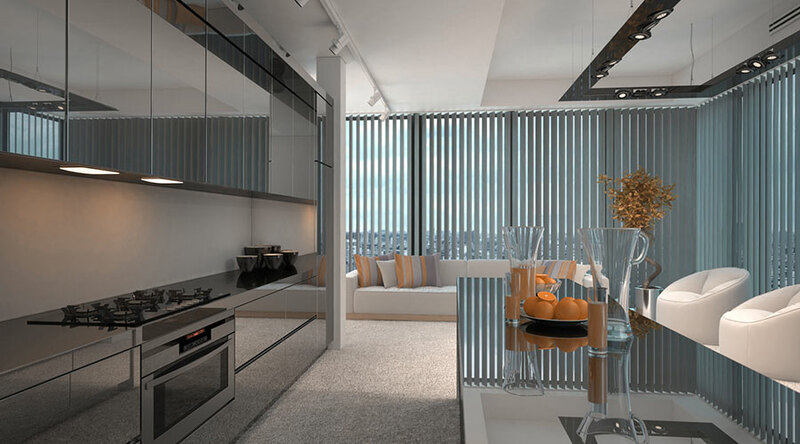 Other than this there are many options like venetian blinds, vertical blinds or bamboo blinds available. So one can select according to their room theme to gel the blinds with other fixtures and colour combinations. Finally, other than anything, the best part of window shades is they are easy to maintain and repair if required. In fact most of the window blinds require a quick cleaning with the help of damp cloth to remove dust. Well think over the curtain, which requires complete wash once in a while, and then blinds looks convenient option. Life of the window blinds over curtains are way much better, especially if made up of aluminium, wooden or plastic.